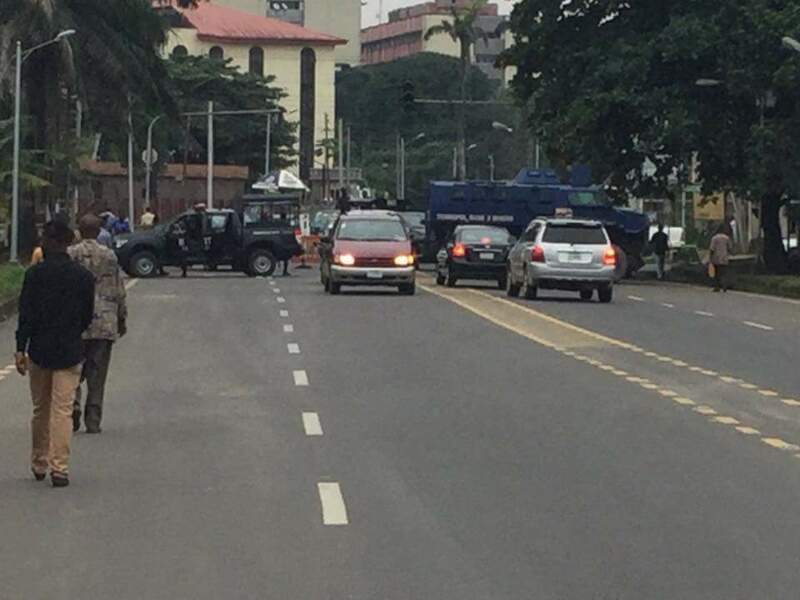 PHOTOS: Police Stops Gov. Wike Convoy At PDP Convention. 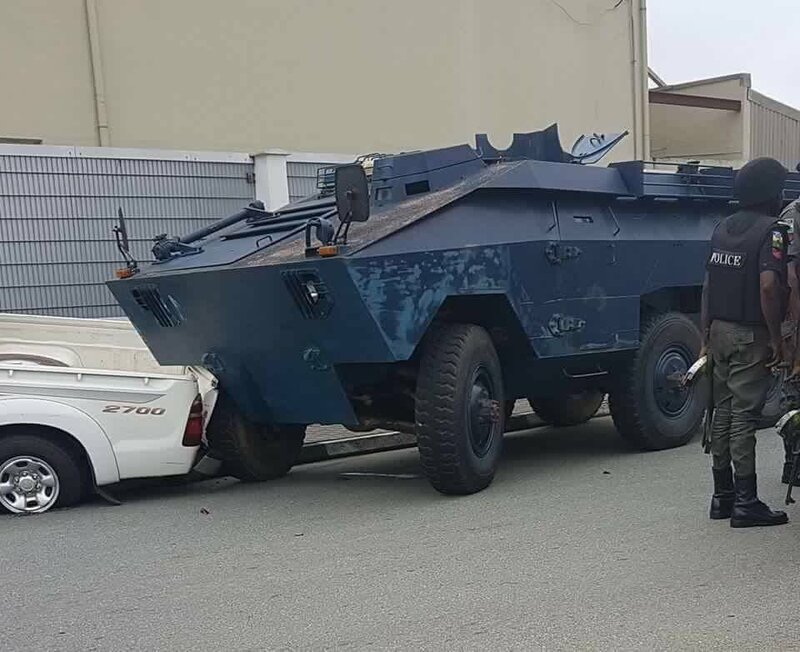 HomenewsPHOTOS: Police Stops Gov. Wike Convoy At PDP Convention. 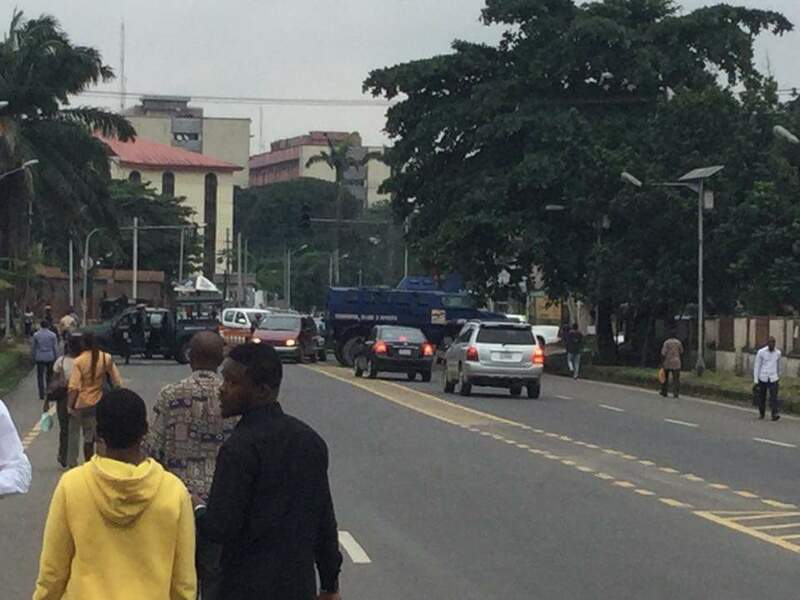 Security agents use an armoured personnel carrier to smash into Governor Nyesom Wike's convoy at the proposed PDP convention ground this morning.